Veterans in the Pittsburgh area without homes may have a unique place to rest their heads in coming years, thanks to a partnership between two Penn Hills residents and their organizations. Shawn O’Mahony, the president of the B.O.B. community development project, teamed up with Marlon Ferguson, the executive director of the Veteran’s Place of Washington Boulevard, to orchestrate the concept of building a small community of “tiny homes” on Jefferson Road in Penn Hills. For O’Mahony and the B.O.B. Project, the concept marries the increasing popularity of tiny homes with the growing Pittsburgh population. 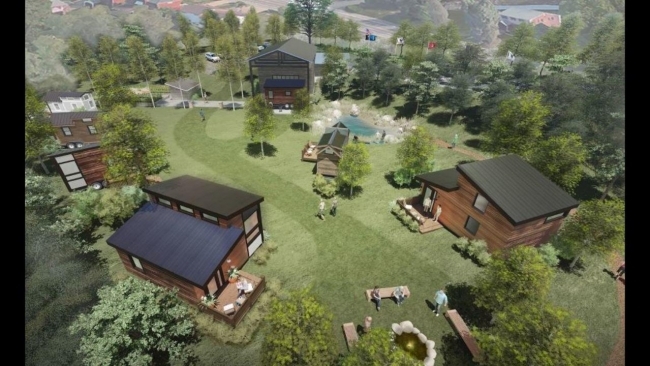 After visiting a tiny home community in Austin, Texas, O’Mahony took the idea to his would-be partner and Veteran’s Place. Thanks to an established working history between B.O.B. and the Veteran’s Place, O’Mahoney knew that Ferguson would be the right partner for such a project. “I know that the Veteran’s Place has been taking great care of their veterans, so it felt like a natural fit,” O’Mahony said. In order to move forward with the project with the Veteran’s Place as a partner, O’Mahony had to pitch the tiny house idea to Ferguson, a 6-foot-8 inch Navy veteran himself and a former basketball player at the University of Pittsburgh. “Initially, I was a little skeptical at first because I’m a business guy and I wanted to see a plan,” Ferguson said. 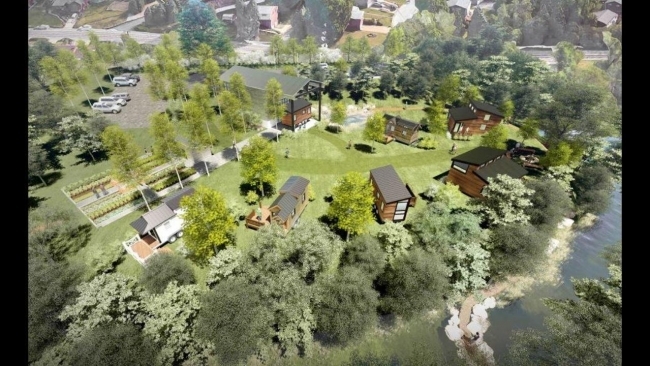 Shortly after, renderings of what the 3.7-acre community would look were provided by designing firm AE7, and with pro-bono help from graduate students from Carnegie Mellon University’s Tepper School of Business the pair came up with a solid plan for constructing the small community. “For me, I think it’s a win-win proposition,” Ferguson said. 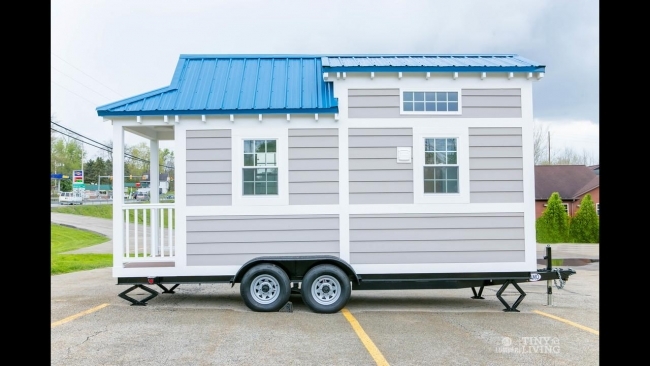 Now with a plan in place, O’Mahony and Ferguson are going full-steam ahead in bringing their tiny-home vision to life and are planning to begin fundraising. The project would cost roughly $2 million, and the homes are designed by the Pennsylvania-based company 84 Lumber. “I think what we’re building with these tiny houses parallel each other,” said Thom Kuntz, 84 Lumber’s director of merchandising. O’Mahony and Ferguson are working to plan for a groundbreaking in 2017. WPXI Article, Live News Story and Additional Pictures can be found Here.